Kentucky and Scotland hate the B word. Mention it on Twitter, in Instagram, or during a whisky tour and they'll quickly tell you why you're wrong. "We don't blend! We marry the whisky in a vat." Yes, whisky particles are married, not blended. Despite the fact that the best-selling scotch in the world is a blend (Johnnie Walker), blended whisky has bad connotations going back to the 1800s. Both Scotland and Kentucky avoid the word, and for similar reasons. Back in the "old days" in Kentucky, whisky makers trying to save a buck would take properly barrel-matured bourbon and they'd blend it with un-aged spirit (and/or rat poison). It's true that American blended whisky has few restrictions, and can include non-booze products like peach juice and "rye-like" flavoring. It's relatively unregulated compared to bourbon and straight ryes (which cannot have any of those things). Thankfully, unlike the 1800s, poisons are no longer used in the production of whisky. Blend, the sometimes the noun or pronoun, is used to describe whiskies that are blended with lesser-spirits. The noun or pronoun 'blend' is used to describe whiskies that are blended with lesser-spirits or even flavoring. A blended American whisky is whisky blended with the "cheap stuff." A blended American whisky is a light whisky blended with the "cheap stuff." A blended scotch is a blend of malted barley whisky and corn-based whisky, often (but not always) the "cheap stuff." There are, incidentally, fantastic scotch blends. Blend as a verb describes part of the process that most whisky goes through. Unless a whisky is a single barrel product (some are), distilleries blend whiskies from a few to hundreds of barrels together in a large vat before bottling. Glenfiddich 12, for example, is a blend of hundreds of barrels of single malt scotch. So long as all the whisky that goes into the blend is a single malt scotch, that scotch remains identified as a single malt scotch. Grant's Family Reserve Blended Scotch is a blend of single malt scotch from multiple distilleries, and that's also blended with corn-based whisky making it a blended scotch. It's not a pure single malt scotch. The same is true in Kentucky. Most bourbons are a blend of many barrels. 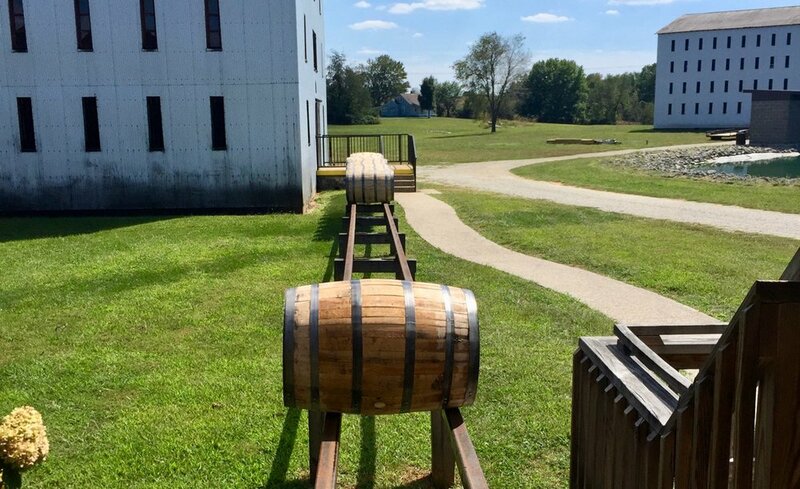 So long as all those barrels contain bourbon, that whisky remains a bourbon. However, unless it's a single barrel bourbon, it came from multiple barrels that were blended in a vat. In avoidance of using the word "blend,” distilleries and whisky enthusiasts literally make up words. Vatted is not the verb form of vat, and it's the equivalent of saying a car is be "carred" when driven. The use of the word "marriage" in a process where whisky is blended together is, likewise, silly (but at least romantic). So go ahead, say the word blend. It's okay!